A long, long while ago (as I brush off the blog-brain cobwebs) I wrote that I was going to tackle the Multi-Ethnic Placement Act (MEPA) and I never got around to it. With the report that came out yesterday from the Evan B. Donaldson Adoption Institute, I figured this was a good time to tackle the subject. This post examines my thoughts about the legislation. Placement Act” (and the subject of a presentation at the St. John’s Adoption Conference in New York in 2006). It’s not just the language used in MEPA and IEPA that confounds me, it’s the whole philosophy behind it. Why are social workers prevented from helping adoptive parents examine and consider their abilities to parent a child from a different race and/or culture? And why do prospective adoptive parents get so ruffled when asked to examine and consider their abilities to parent a child from different race and/or culture? If you were the social worker and you had a child on your case load that was hearing impaired, would you feel you could only place that child in a home with hearing impaired parents? Or, would you consider a family who was hearing, but either knew ASL or was willing to learn ASL for the child? See, it’s not just about race-matching, which is what people always think MEPA is about. MEPA/IEPA wasn’t just created to prevent race-matching in placement, it also effectively declared that asking adoptive parents to even consider the racial, cultural or ethnic needs of a child or their ability to parent a child cross-racially or culturally was illegal. This isn’t just about giving a child a bed and a roof and 3 square meals a day. This is about parenting and raising a child in a loving and nurturing home; a home that loves and nurtures a child’s racial and cultural identity. neighborhood. The state paid $1.8 million in fines. parents, which the federal government said overemphasized race. How does the agency ensure that the following practices do not occur? answer additional questions because of the interest in adopting or fostering across RCNO lines? take additional training courses because of the interest in adopting or fostering across RCNO lines? move to a more diverse community? have additional caseworker visits because of the RCNO context? justify their interest in children of a different RCNO? If the philosophy behind MEPA was truly about the best interests of the child, all the needs of the child would be considered for a placement. INCLUDING the needs for the child to be raised in a culturally sensitive home. This is not to say that white parents can’t be culturally sensitive – but the the philosophy behind MEPA is that it doesn’t matter either way (As my husband called it, it’s the "Don’t ask, don’t tell" of child welfare, only we’re talking about parental racism instead of sexual orientation). MEPA isn’t about helping African American kids to permanency; it’s about privileging white adoptive parents who are angry that they couldn’t get the child they wanted because a social worker wanted to find a racially-matched home. Why is it that all of the court cases involved in MEPA are because white adoptive parents are protesting being asked to show that they can meet the racial and cultural needs of the child? I think that is so telling. I can’t even begin to tell you how often prospective adoptive parents get angry at adoption social workers for discussing transracial adoption. It’s like they think we believe they’re stupid or they feel entitled to get what they want without having to have any education. Immediately people think that they’re going to get called a racist for being white. I really wish prospective adoptive parents could stop thinking it’s all about them, and start thinking about their future child! The other issue with MEPA/IEPA is that no one seems to care about the other part of the legislation – that is the recruitment and retention of a pool of adoptive families that reflects the diversity of the youth in care. The recruitment and retention part means that if a county agency has 60% of children in their care who are African American, than approximately 60% of the prospective parents in the agency’s pool of families at any given time would be African American. But because the fines and penalties are only enforced with the placement part and there are no fines or penalties if agencies don’t follow the recruitment and retention part, guess which part of the law gets the focus? I’m quoted in the NYT article, "De-emphasis on Race in Adoption is Critical." Doing this article was another example in which I feel we adult adoptees always have to be vigilant in the way we are represented. I have a good working relationship with the reporter of this piece (about two years ago he had interviewed myself and several other adult transracial adoptees but unfortunately the piece did not make it to print). However, on Saturday, I received a call from a photographer who wanted a photo to accompany the article. The photographer asked if my parents were in the city. Baffled, I asked why he wanted to know this. The photographer then said that he wanted my parents in the photo with me, and asked if I had a photo of them that could be run in this article since they don’t live close to me. I told the photographer that in principle, I objected to having a photograph with my parents because I didn’t see what my parents had to do with this article. I was interviewed as a social worker who also happens to be a transracial adoptee. But, at almost 40 years old, I am frustrated that an article – that is NOT about ME (that is, it is not my personal story), has to include a photo of my parents. Would the photographer have asked Dorothy Roberts, a black child welfare legal scholar, to include her parents in an article in which she talks about racial disparities in child welfare? I mean, that would be relevant right? She’s black, so is her parents, and she talks about child welfare issues in the black community. When will I be able to be seen as a separate entity apart from my parents? Yes, I was adopted. But why do I need to be seen in the context of my parent’s child at my age? When will adoptees be able to have their professional and personal views accepted as the individuals we are? around adoption; and finally a whole course on "diverse family systems"
deeper into some of the more needed issues. it. I tend to observe mostly, when I’m first part of a group. I really like to see how the group dynamics are, who speaks, who says what, those kind of things. Once I get a sense of the players, I begin to participate. very salient way that everything that was being discussed was about me. And in a very real and personal way. in all-white communities and how that affected their mental health. I wonder if any of them noticed I wasn’t laughing. It’s a cold, grey afternoon and the promised snow we are set to receive is just beginning to mist down on my car, the lone vehicle on this long stretch of highway. Each tiny flake melts so quickly that my wipers lay slumbering on the base of my windshield. I am driving back to the cities from a pre-Thanksgiving visit with two of my clients, teenage brothers, who are living in a residential treatment center a few hours south of the Twin Cities. Yesterday when I spoke to their case manager, I asked if I could take them off campus for lunch. They hardly get to leave their campus. They are in foster care, and this weekend when most of their peers are going home to their families for turkey and mashed potatoes, they will be in the residential center with a few staff. "I don’t know," says the case manager. "X was in a hold this morning and he’s really been struggling this last week." "Yes," I respond. "He told me he is frustrated that this will be his second year spending Thanksgiving in the center. All of his friends are going home." This boy and his brother have no home. For two years they have been waiting to be adopted. With that statement, the caseworker changes her mind. I can take them out to lunch. I wish the case manager, also his therapist, would remember how holidays trigger these kids. I wish they would remember that when they are in their warm homes surrounded by their family and friends, that these kids are left behind, wanting that family and feeling lost and alone. Every single thing they do is under a microscope. When they have a bad day and are in a bad mood, they’re "oppositional defiant" and when they go for months "behaving" well, one bad day can send them back to day one. The staff is planning a day of board games and movies, yet they want to spend time with me, if only because I am getting them off the campus for part of a day. Or perhaps it is because my twice monthly visits this past year have been the most they get from anyone. Maybe it is because I am looking hard to find a family who will adopt them. X wants a family. Even at age 16, he says, "I still need a family to love me." I think of X and his younger brother. I think of them, how they are living to find emotion. Their county worker tells me I shouldn’t give them false hope that they will find an adoptive family, given their ages and their behaviors. But that’s my job. These kids, according to the law, have to be tracked for "adoption" as their permanency plan. That is why I talk to them about adoption. That is why they know I am their adoption worker and that I am looking for a home for them. And they want to be adopted. I ask X if I’m giving him false hope talking to him about adoption and he says, "I’ve gotta have hope. If I don’t have hope, there’s nothing for me to live for." And as I drive home, to a family waiting for me, I think about X and his brother. How they are shadows searching in the night for a family. And how none of us are willing to stop believing that it can happen. The post on disruptions and dissolutions sparked a lot of conversation so I thought I would follow up on a few things. I found I was commenting to comments more than usual, so instead of filling up the comment box, I wanted to share a little more here. The disruption/dissolution rate given to me was not a statistical "fact" but an estimate by someone I know who works for my state’s governing child welfare department. It was in a meeting I attended and was not meant to be "fact" but as a way to "enlighten" us about how little we know about international adoptions and disruptions and the abuse of children adopted internationally by their adoptive parents. 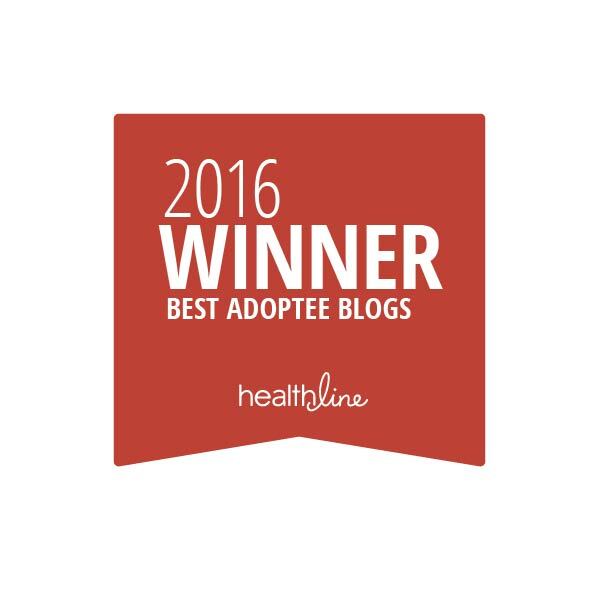 Keep in mind that most of the research and data collected is about foster care adoptions. We do a very poor job of tracking data and research on international and private domestic adoptions, as well as tracking our US kids who are adopted to Canada, England, Germany and other countries. Additionally, according to this website, "Individual studies of different populations throughout the United States are consistent in reporting disruption rates that range from about 10 to 25 percent—depending on the population studied, the duration of the study, and geographic or other factors (Goerge, Howard, Yu, & Radomsky, 1997; Festinger, 2002; Festinger, in press)." So my colleague’s estimate of 10-15% falls right within that range. This site also states that adoption dissolutions generally do not come to attention unless the child protection/child welfare agency in a state is involved. This means that there are adoptions that dissolve by voluntary termination of parental rights where perhaps the child is transferred custody to other people, family members or friends others and happens under the radar of the child protection agency. No national data are collected on the number of disruptions and dissolutions or the percentages of adoptive placements that end in disruption or dissolution. Most of the data that are collected are for adoptions from public agencies or those under contract from public agencies. No national studies are available on disruptions or dissolutions of inter-country adoptions or adoptions from private sources. There are no national data collected on the number of independent, private, or tribal adoptions. The language used in this article surprised me. I hope there is more to this story than what is included in this article. It is very concerning as a child welfare advocate that this family was split apart without attempts at services, and the use of the word "addicted" regarding the woman’s multiple pregnancies. There must be more going on . . .
A MOTHER addicted to having children has seen all nine taken into care because of her inability to break away from her controlling ex-husband. Six of the children have been taken away for adoption, two are in long-term foster care and yesterday a judge ordered the youngest child to be taken away from the mother and made available for adoption. Okay, I’m going to start off being blunt. When a person adopts a child and then disrupts or dissolves that adoption, they are re-traumatizing the child and they should accept full responsibility for that. Now, I’m not saying that I always blame the parent for deciding to disrupt or dissolve an adoption. Sometimes, overall, it is to the child’s best interest that the adoption is dissolved or disrupted. There certainly are instances when the child is a danger to himself or to others in the family and need to be removed from the home. And agencies sometimes lie or misrepresent children to prospective families and should be sanctioned for such unethical practice. But again, the child is the one who has no power and no choice in this whole matter and to be uprooted from a life and to have to adjust to a new home and new parents – much less new country and language in the case of international adoptions – only to be kicked out of said home and end up in foster care? I was told that around 10-15% of children adopted internationally to my state dissolve and the child ends up in foster care. I’ve heard the stories and all I can say is, when one births a child biologically who ends up having major problems the child may end up in some out of home care (sometimes it’s foster homes or residential treatment centers or group homes) but it’s rare that a parent voluntarily terminates their parental rights to a biologically born child. Most of the youth I see in foster care are there because the courts have ordered a termination of parental rights. Do I think a parent has the right to decide not to adopt a child who was misrepresented to them and has needs greater than what the parents think they can handle? Yes. Do it before the child is finalized. I absolutely think the parents have a right to accurate information. And I agree that it’s not in the child’s best interest to be placed in a home where the parents do not have the desire or ability to care for those needs. And that’s what I detest about this whole exchange. Because we want to place children in good safe homes, we allow for disruptions. We have to. And that creates a practice that caters more to the needs of the secondary client (parents) over the needs of the primary client (the child). Agencies often make it known that there is no guarantee that any infant won’t develop medical, cognitive or developmental delays in the future, but who wants to hear that? Sure, we hear it and tuck that information in to the back of the mental file. At our agency, we tell parents that adopting an infant means that you know less about the child’s future. With older children, you tend to have more information. At least you likely have some history and some sense of potential risks for behaviors that the child may exhibit later on. With an infant, what you don’t know can be risky. But as many other adoptees have said before, we’re not a tabula rasa and even as an infant with little or no information, there are risks. There are risks for children birthed biologically to parents too. There is a high correlation between children in my state who end up using county or state mental health services and adoption status (note, correlation not causation). I’ve been told by several workers that "over half" of the cases involves children who have had at least one adoption disruption or dissolution and that includes children adopted internationally. It’s interesting to me, that many in the mental health field have negative feelings about adoption partly as a result of that. I think a lot of adoptive parents "talk the talk" about how they love and treat their adopted children "the same as" a biological child. In terms of adoption disruptions and dissolutions, I would like to see more in terms of "walking the walk." Once a parent adopts a child and it is legally finalized, they are the considered the same as a biological child in the eyes of the law. Adoptive parents who abandon their adopted child should be treated the same as any other parent who abandons their child. I attended a work training last week and one of the things this trainer said really struck a chord with me. 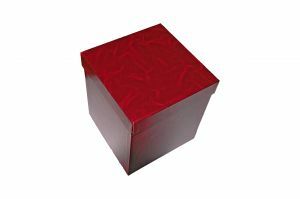 He said that we are often encouraged to think "outside the box" – but this sets up a framework that there is a box. I have always felt that I tried to look at things "outside the box" and never saw it framed as set up to be an antithesis to "the box" but now I see it much differently. I’m thinking about the work that I do and how we talk about things in terms of "best practice." As we have learned, what is "best practice" today will not be considered so tomorrow, as today’s efforts towards "best practice" are in reaction to what hasn’t worked well in the past. Child welfare swings from one pendulum to another every decade or so. Instead of merely swinging back in the other direction as a reactionary measure to problems, perhaps it’s time to think as if there is no box and look at how we treat the vulnerable in our society in more creative ways. Otherwise, we will always just be like a tether ball whipping around the playground pole, slapped one direction or another depending on who has money and/or power at any given time. After another work training today, I am really trying to wrap my mind around some significant paradigm shifts and this whole idea of "thinking outside of the box" keeps coming to the forefront of my mind. I have a feeling I will be writing much more in the future about this.